Having kids and pets can make your furniture vulnerable to dirt or even damage because monitoring their activities in the house is not an easy task. You should encourage your children to play either in or outside the house by protecting your sofas using the original sofa shield reversible furniture protector. Playing is encouraged for kids because it leads to a healthy growth and facilitates the process of socialization. You need to have the reversible furniture protector in the house for them to play freely. The product has many colors and comes in 3 different sizes: Loveseat, Chair, and Sofa. 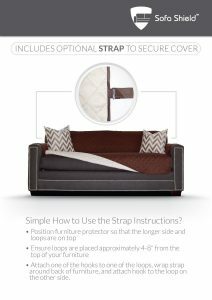 It has an adjustable strap that keeps the cover in place so that when the children and pets play on the sofa, the shield will not come off. 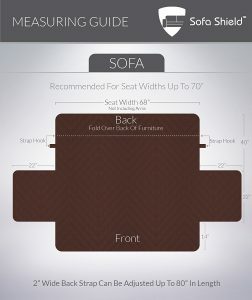 The sofa shield is machine washable and is great for homes with pets and kids. Once in use, it protects the sofa from any dirt that can result from children’s playing activities or stains and spillages. Once one side become dirty, you can reverse it instead of machine washing it immediately. The sofa shield protector will protect your sofas, allowing your kids and pets to have maximum fun in the house. Once you have the sofa shield protector, your chair, loveseat, and sofa will be free from everyday mess from the children, maintaining their beauty and quality. It is made of soft quilted microfibers and is available in assortments of different stylish colors to fit your needs. You can use it in different seasons by reversing it and is easy to care. The cover is relatively easy to put remove and wash. It needs simple maintenance requirements, and the material is of high quality. 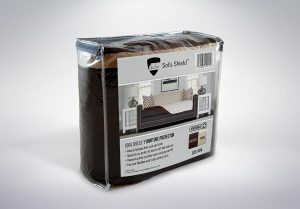 The product works perfectly well if the sofa is against the wall because the covers will be held firmly. You do not need to be too keen on the activities of your kids in the house if you have used the protective covers. Even if you do not have children, it is important to cover your seats using the original sofa shield because your friends who have children can visit you. The product provides an assured layer of protection to your sofas, and this guarantees their sustainability. The presence of a cat in the house that sheds a lot necessitates the need to use this product because the couch can be difficult to clean. You only need to wash them regularly once both sides are dirty and vacuum the couch. 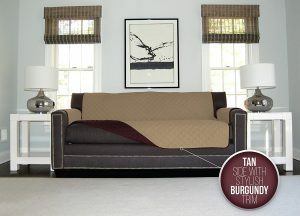 However, you may be forced to cut some parts of the cover to fit your sofa’s configuration. The product is not waterproof, and you may be required to buy waterproof pads to use. This means that it cannot act as the best solution for children if they play with liquids such as water or juice while on the sofas. You have to put some pads that are waterproof underneath in the seats that your kids are playing. However, the covers do not need any chemical treatment, and you should not be worried if your kids or pets are allergic. 2 Once one side become dirty, you can reverse it.